This chicken dish is adapted from Bill Granger’s Bill’s Basics. It is a fast, easy, tasty dish – ideal for a midweek dinner. I have just made a couple of small additions. 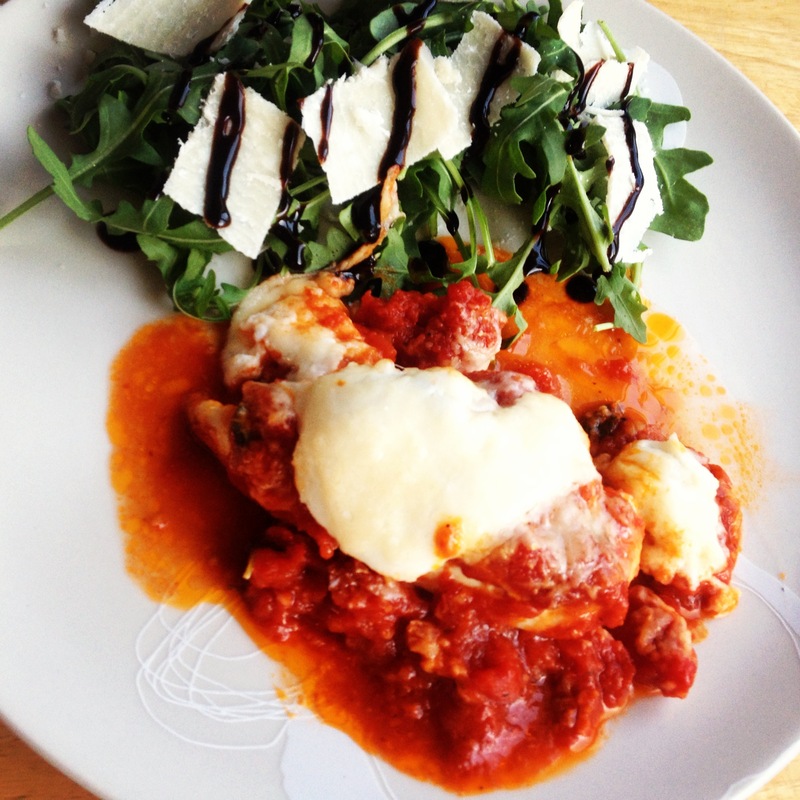 It is not a traditional parmigiana as there are no breadcrumbs on the chicken. I liked this idea when I read the recipe as it makes the dish lighter and easier to prepare. I serve this with some rocket and parmesan shavings with balsamic glaze and lots of good white bread. Ok, so maybe it’s not that light after all! Heat a tbsp. of the olive oil in a saucepan over a medium heat. Add the garlic and stir while cooking for a few seconds. Take care as garlic burns easily. Add the tomatoes, salt, sugar and pepper. Lower the heat. Cook for about 15 minutes, stirring occasionally. Remove from the heat and add the vinegar and basil. Heat the remaining oil in an oven proof dish. Add the chicken breasts and cook for about 2 minutes on each side until golden. 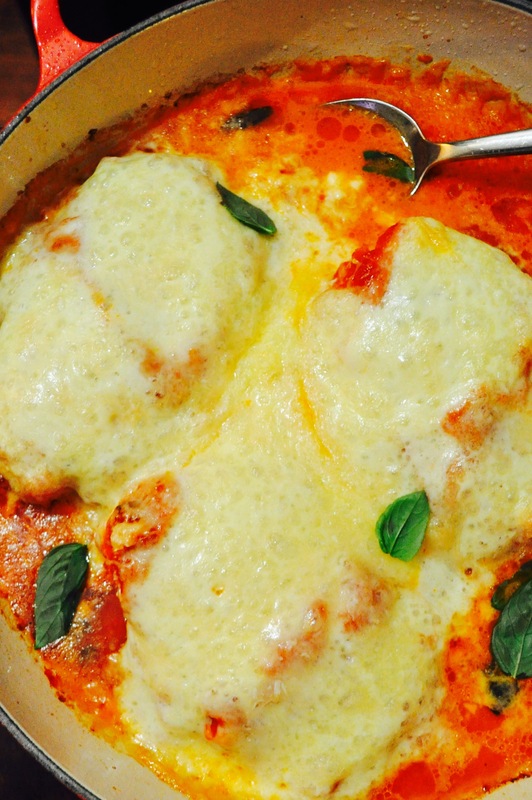 Pour the tomato sauce over the chicken, top with the mozzarella and sprinkle over the parmesan. Drizzle over a little more olive oil. Bake for 20 minutes until the cheese is melted and bubbling.